Have you ever met with WordPress white screen of death. Many of us would have, because it is a common error everyone among us faces. 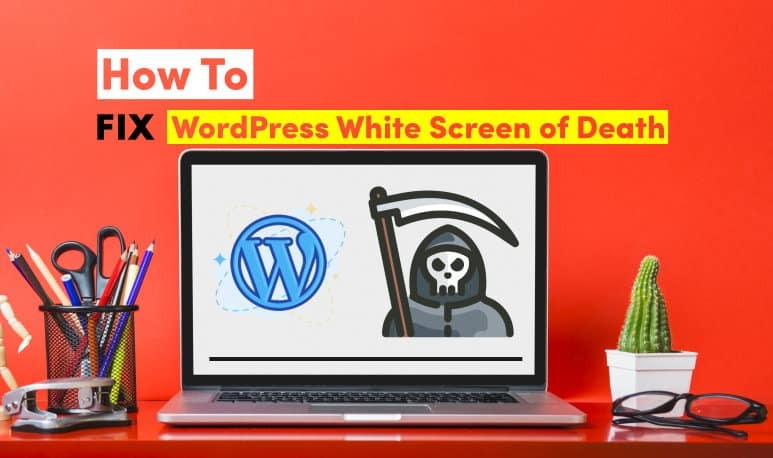 Do you want to know WordPress white screen fix. Before we begin to discuss the fixes, lets have a look at the causes of it. According to WordPress, it is the most common error that occur in content management system. WordPress white screen of death can occur due to these reasons. Missing theme file from WordPress. The error isn’t tough to solve but needs a little smart work. When this error cause, there are two situations. You get a white screen on front-end and can use back-end. You get white screen on both ends. If you met situation one, you can fix it using dashboard. Because, if you can still use the back-end, it means that the theme or plugin is generating error. In that case, disable all the plugins and change theme to default one that is “Twenty Nineteen”. Now, if you met second situation then “Between the devil and the deep sea“, you have no choice except to do some advanced work. Because you can neither use back-end nor view front-end. So let’s start some real work. You are in hurry and you want to fix this issue within time. But sincerely, it will take more than 2 minutes to find the cause not the solution. Personally, to find the cause of WordPress white screen I set debugging to on. This is the first step I do first because it saves me a lot time. It is my personal way to solve the issue, so let’s start finding the cause and solution. In rare cases it happens that the personal browser cache causes the issue. So first step is to clear the cache the site. 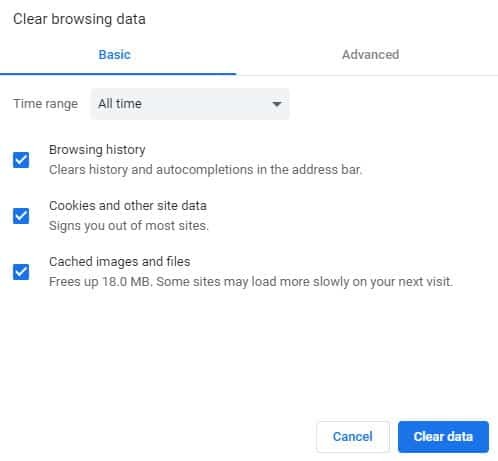 You can clear all the cache under Settings>>History>>Clear Browsing Data. Now visit again visit your WordPress admin section, if issue still occurs, then follow other steps. If you can access the admin section after clearing the cache, then the simple and easy way to fix the issue is disabling the plugins and reverting theme to default one. Sometimes you install or update a plugin which isn’t compatible with your current version. Such plugin can generate the error, so it is recommended to check the plugin compatibility before installing it. After deactivating plugins, activate them one by one and reload the site after each activation. Don’t activate plugins in bulk otherwise you wouldn’t find the issue then. If your site goes down after activation, deactivate the plugin you last installed. So you have successfully found the culprit plugin causing the error to occur. If you aren’t able to access administration section even after clearing the cache, you have to use FTP program. We will use FileZilla. Connect you website to FTP program. After successful connection, you have to rename the plugins folder. Go to wp-content, you will notice plugins folder. Rename the folder to plugins1. Come back to check the site again, if it works, change the plugins folder name to its original plugins. Go inside plugins folder and rename each plugin one by one until you find the plugin which is misbehaving. What to do if the plugins aren’t causing issue? 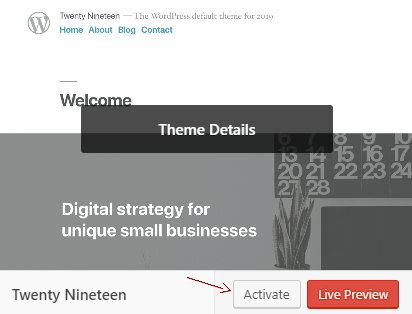 Well, WordPress white screen of death can be caused due to faulty theme also. If you have access to admin section, change theme to default one. If that solves the issue then do same process we did earlier on plugins. Connect to FTP program and start renaming the themes each one by one until you find the faulty theme. But remember to reload the site each time you rename a theme. Sometimes, the WordPress white screen admin is caused due to syntax errors. But believe me, it is not easy to find the syntax errors. But we have a way to find the syntax errors quickly by switching debugging to on. If you were editing theme or plugin files and you misspelled something. That mistake can also generate the error. It is “Programming BRO“, no useless character on the wrong place. How do you find syntax errors quickly? Go to core files of your WordPress website. You will find a file named as wp-config.php, edit it. Scroll down, until you find this line. Change false to true . The issue wouldn’t be solved but it will give us the exact location, where the problem exists. You will see a white screen and error messages like this. You can see that after enabling debugging, we are getting the exact location of the error. In rare cases, you wouldn’t see anything, then it is recommended to ask the host for the problem. Sometimes the error may be caused due to the server memory. In that case, you have to provide more memory to the server to work smoothly. Increasing memory limit in WordPress is quite easy, you just have to edit wp-config.php file. Same thing can be applied in the .htaccess also. Add this code to .htaccess file. Or you can edit your php.ini file and add this code. Now you know the cause and WordPress white screen fix. Even a single update of theme/plugin could take your site to offline and you will have no access. You must do the following things to prevent from this issue in future. Take backup of your whole site. Use a good hosting for solid support. If you liked this tutorial, please do share with your friends and do comment.